Product information "TIGI Catwalk Straight Collection Sleek Mystique 270ml"
Perefectly primed hair is essential for the finest straight styles. Antioxidant-enriched leave-in conditioner initates the smoothing process by detangling; hydrrating and sealing the cuticle. Experience an instant balance of moisture with added colour-rention and strength. A remarkable soloution for second-day hair. Mist into hair to refresh; then blowdry or flat iron to restyle. 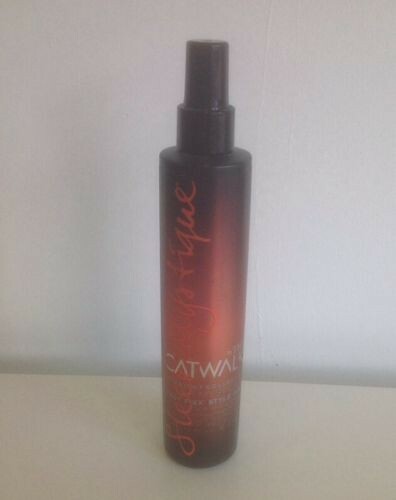 Related links to "TIGI Catwalk Straight Collection Sleek Mystique 270ml"
Customer evaluation for "TIGI Catwalk Straight Collection Sleek Mystique 270ml"